8Rental chauffeurs welcome every client arrived in the chosen city. 8Rental proposes an option to hire a vehicle with a driver in Warsaw. Hire chauffeured bus in Warsaw & find 8Rental’s tidy driver waiting for 8Rental’s customers. This convenient option allows not worrying about transportation in a foreign city. 8Rental gives free access for everybody to hire car/minibus/bus with a driver. 8Rental offers to hire vehicles with a driver on the chosen terms & conditions. Fixed price contains everything: a sober driver, modern car, fuel, toll roads & highways & taxation. 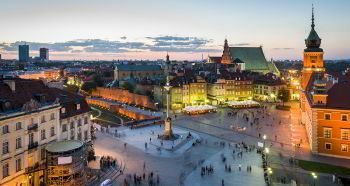 Warsaw – a city which includes rich history, romantic atmosphere & magic ancient squares. 8Rental – supplier you can rely on, as thankful customers return every time & book one more vehicle. 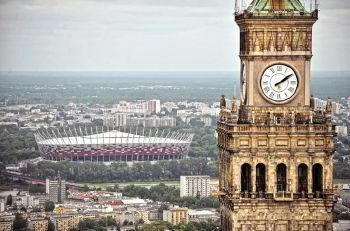 Warsaw is deservedly considered most magnificent, mysterious & exciting city in Eastern Europe. The Old Town – place, where ancient streets & churches are located paved with cobblestone roads. Here tourist can always meet many artists, cultural lovers, creative people & even order their portrait. Pedestrians can notice the Royal Castle where is located a 22-meter Sigismund III Vaza king column, who transferred Poland’s capital from Krakow to Warsaw. The Royal Lazienki palace & park complex which has 76 hectares area – one more place from Warsaw must visit list. Here visitors can not only walk through the green park area but also visit the famous Water Palace, listen to a pianist's concert at the Chopin Monument. Tourist can complete long walk around Warsaw city by the Palace of Culture & Science containing an observation deck, from which opens an incredible panorama. Everyone should taste Polish hearty & delicious cuisine dishes, for example, famous zrazy, bigos & Polish sausages. People visit Warsaw for shopping, because huge malls, different sales & are collected not only worldwide known brands but also local Polish labels. Poland is proud of its cosmetic shops, local souvenirs & gift shops. Visiting Warsaw doesn’t return without presents, sweets, gifts, memorable photos & beautiful clothes. 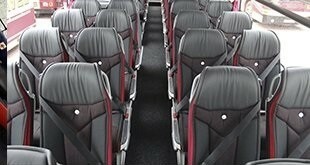 Hire business or standard coach with driver & discover benefits, opened by 8Rental’s company. 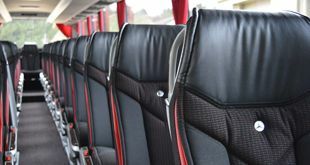 Hire luxury chauffeured bus if business visit & partners meetings are planned. Hire a standard chauffeured driven coach if you expect a simple trip to discover new places, amazing sights & different cities. The Driver's license is the first to be checked, but it is not the last thing that is verified by the 8Rental company during the hiring process. Every chauffeur should have enough experience to handle difficult situations occurred every time on local roads. They must be responsible, punctual, friendly and they also must master at least one of the international languages. Our company makes sure that the drivers speak not only one, but several of them.